In the last article, we set up a site you could use to hold files, manage tasks and notes, and even do some light word processing. 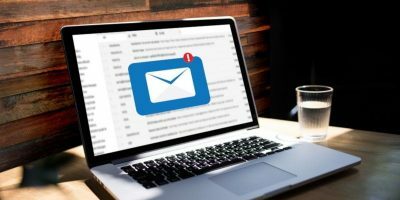 The solution we used, FengOffice, is also capable of managing your e-mail (not unlike GMail) and doing some simple spreadsheet work, although the latter currently has some trade-offs. Before you start reading, it’s worth noting that if you want to use spreadsheets, you’ll need to install GelSheet. GelSheet comes pre-packaged with FengOffice, although it’s a couple of versions back (v1.7.2 to be exact—the “Administration > Upgrade” option gives you the ability to move up to v1.7.5, but don’t do this, you’ll lose your ability to create spreadsheets). So if you want the spreadsheet functionality, you’ll need to export any files you have in FengOffice and re-import them into the GelSheet installation. In the last article, I elected to leave the “Mail” component out of the installation. Well, I’ve come to find that there is no way to re-run the installation to add this functionality after the fact. So if you chose to leave that component checked during your install, congratulations, you’re way more forward thinking than I am! If you followed my advice, like me, you’ll have to re-install FengOffice (and remember to leave “Mail” checked). Make sure to export any documents you’ve created if you do need to reinstall. When you log in, you’ll see an “Email” tab on your Dashboard. 1. First, click on the “Email” tab from the main screen. 3. 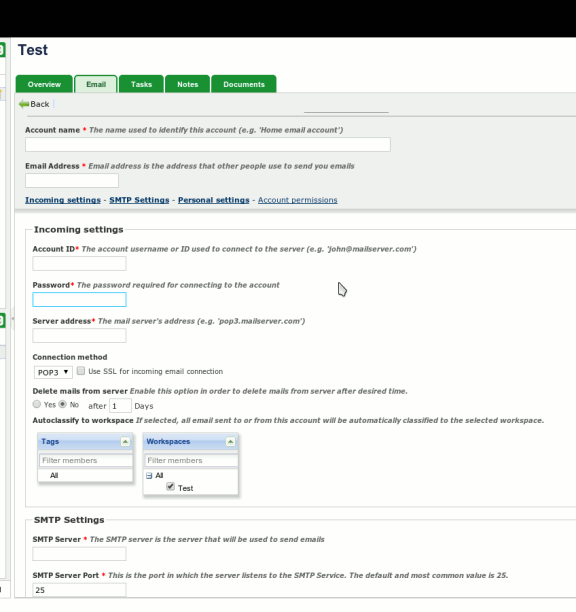 You’ll be presented with a screen to fill in details to your account: your username, password, the incoming server (including its port number and whether security should be used or not), its connection method (use IMAP here if your server supports it), and outgoing server (including port number and security) are the important things to fill in here. When you have these filled in, click the “Add Email Account” at the bottom of the page. 4. 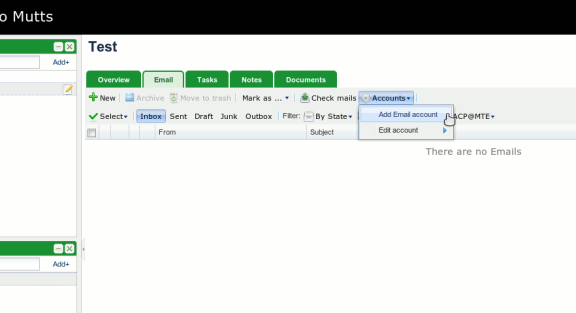 Once your account is added, you’ll see… an empty inbox. Click the “Check mails” button and see what happens. 5. 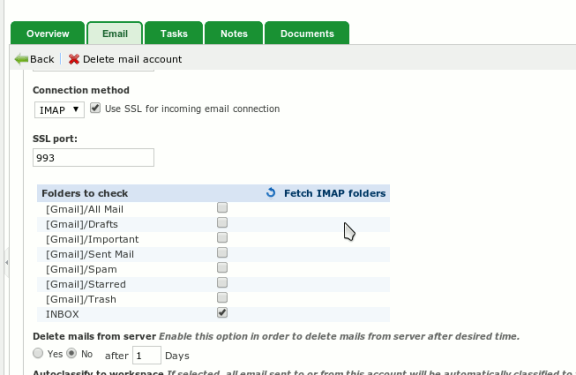 If you don’t get any new mails, and you should have it may be because you selected IMAP as your connection method. You may need to subscribe to some or all of the folders in your e-mail account before you can get mail from them. From the “Accounts” pull-down, select “Edit Account,” then select the account you just added. Scroll down to the “Incoming Settings” section, and you’ll see a list called “Folders to Check,” and select all the ones you want to get mail from. Don’t forget to click the “Save changes” button at the bottom. 6. Click “Check mails” again, and you should see the mail from your account come in. When you make changes, such as deleting mails, you should see this reflected in your account after you click “Check mails” again (which for IMAP actually means a complete synchronization with your account—even though this is a web-based solution, it works like an offline mail client in this regard). If you remained on the v1.7.2 of FengOffice that came along with GelSheet, you’ll find the “New” drop-down on the “Documents” tab has an option for “Spreadsheet.” This has limited functionality (you can’t copy and paste formulas, for example), but if you use spreadsheets more for list management, you’ll be happy to know you can export to OpenDocument Spreadsheet or Excel, although there are some issues as this is still in beta. GelSheet and FengOffice may not be as polished or complete in functionality, but on the other hand, they don’t rely on you keeping your precious data on another company’s servers. 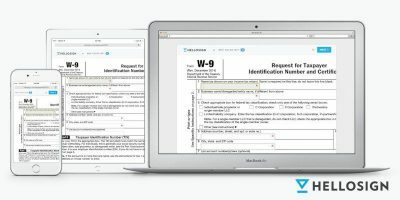 You still can have anytime, anywhere access to your information, and also keep it on your own computer where it belongs.